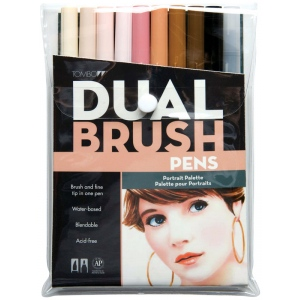 Blendable colors two tips in one pen – flexible nylon fiber brush tip and fine point hard nylon tip. 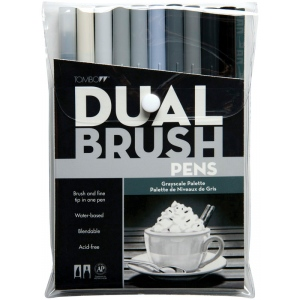 * Both tips are fed from the same ink reservoir ensuring exact color match. 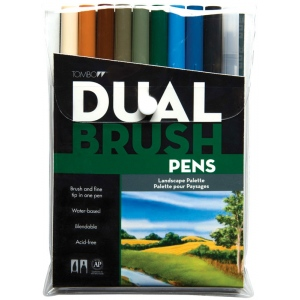 * Water-based odorless inks are acid-free and AP non-toxic. 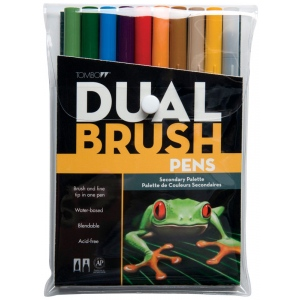 * Each set contains pens in 10 colors.